On September 30th, 1955 James Dean was driving his Porche 550 Spyder west on state road 46, en route to a car race in Salinas, California. Approaching the intersection of 46 and 41, near the town of Cholame, a Ford coupe traveling east on 46 veered left across the oncoming lane and crashed head on into Dean’s silver Spyder, killing the young actor. He was only 24. 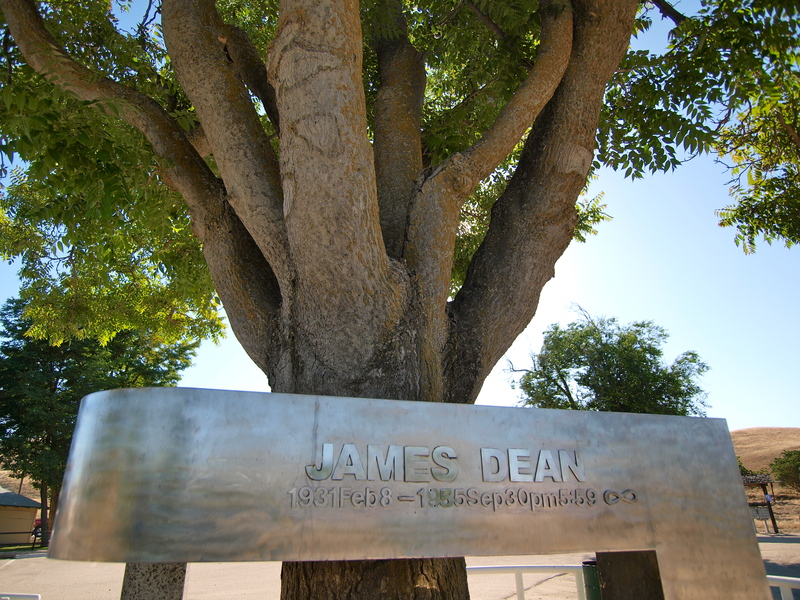 James Dean is buried in Fairmount, Indiana, not far from where he grew up on his aunt and uncle’s farm. 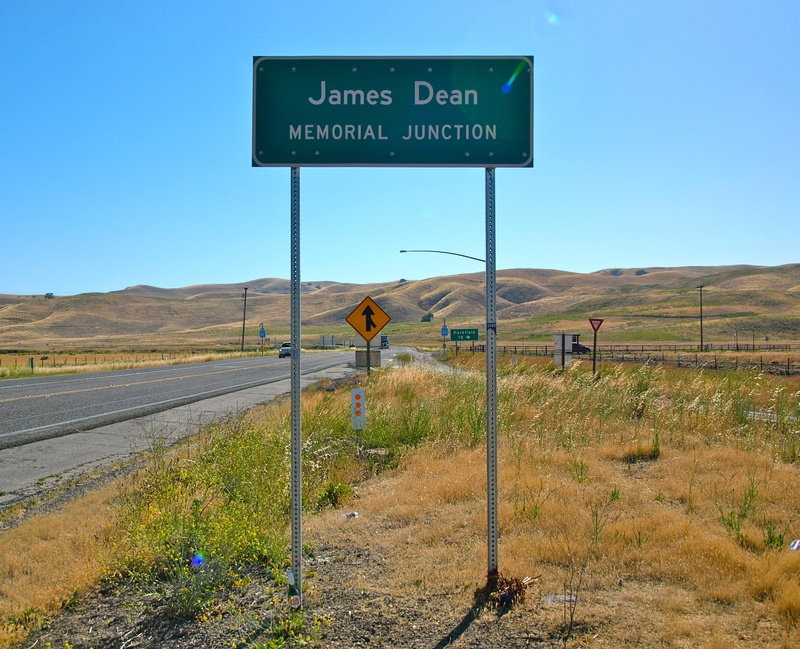 In 2005, on the 50th anniversary of Dean’s death, the state of California renamed the fatal intersection of 46 and 41 the James Dean Memorial Junction, though the two roads have long since been realigned to make the intersection safer. 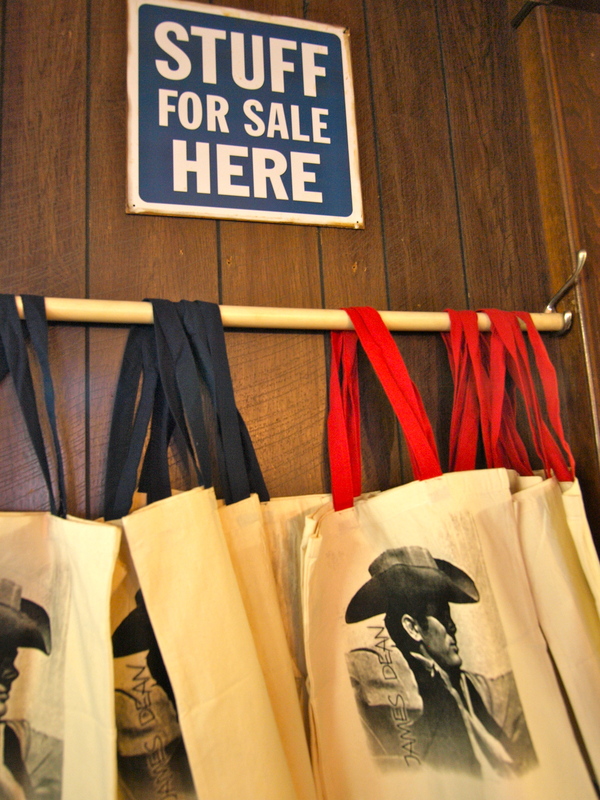 The memorial sits right outside of the Jack Ranch Cafe, a small restaurant with great milkshakes and greasy food that capitalizes on its Dean-adjacent location by selling lots of random James Dean paraphernalia. Sitting in a booth under a James Dean poster, enjoying a mint milkshake, thinking about that arresting jailhouse scene in Rebel when I realized Dean was a force, not just a pretty face, I overheard the parents at the next table tell their young son, his arm wrapped in gauze, that he could have anything on the menu. He had been bitten by a rattlesnake the day before and this was his victory meal. That kid got himself two milkshakes. Long live the young tough rebels in this world. 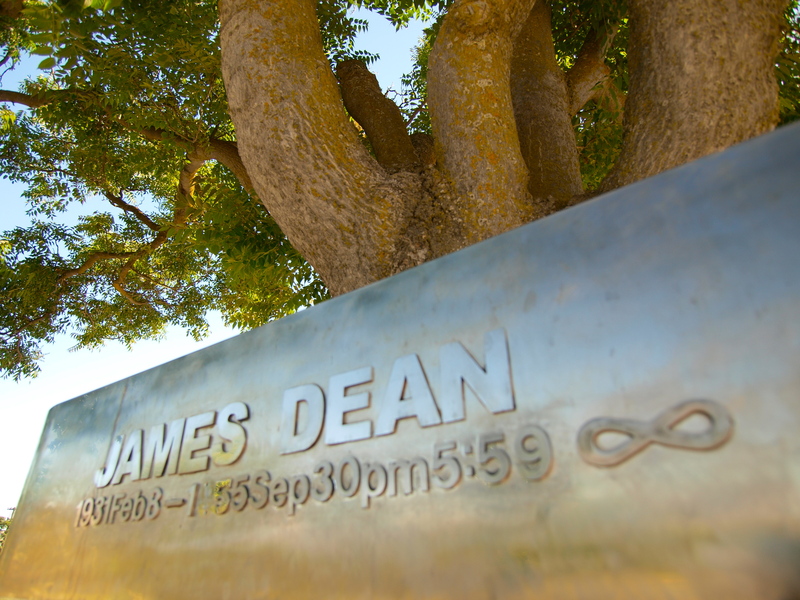 Just passed the James Dean memorial a few weeks ago on the way to Cambria. Thanks for the history update. Always loved James Dean. Used to watch him when I was just a lil kid. 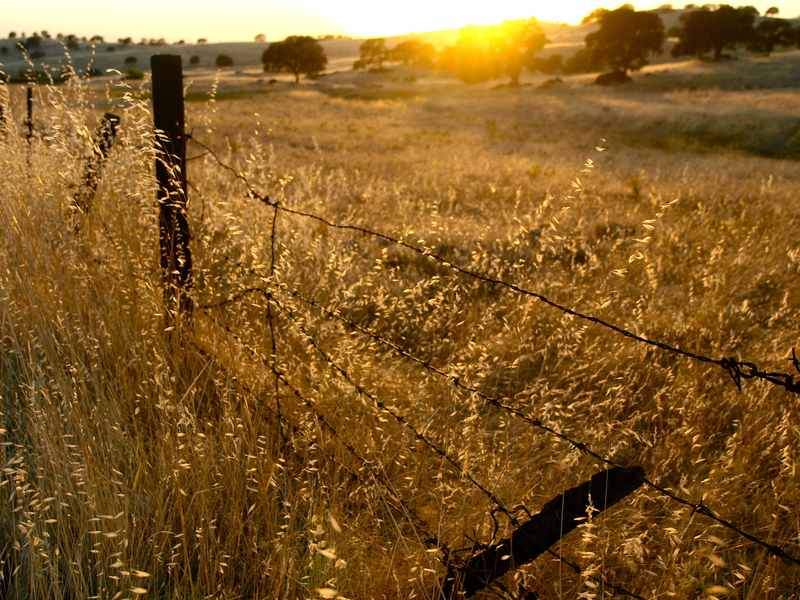 That last photo is just stunning.